Welcome to our selection of over 180 poems in various categories including: love, friendship, in loving memory, mother, father, grandmother, grandfather, grandparents, son, daughter, brother, sister, grandchildren, aunt, uncle, family and home, dreams and achievements, occupations and religious. Any poem can be printed or downloaded in PDF format for easier and higher quality prints. Also, every poem can be printed or downloaded with a colorful border background. We have 37 different border backgrounds and any of them can be printed with any poem. Each poem is shown with one of the border backgrounds. Please see Printing Tips for details. All poems can be printed or downloaded free with or without a colorful border background. Below are links and descriptions for each category that we offer. Love poems which includes poems for husbands, wife, anniversary, wedding, Valentine's Day, romantic poems and also short love poems. 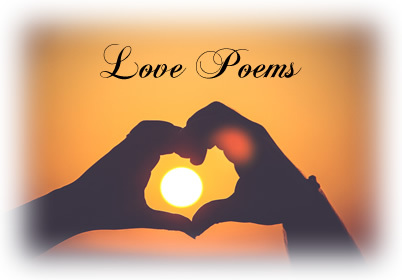 All of the love poetry can be viewed here in the love poems category. 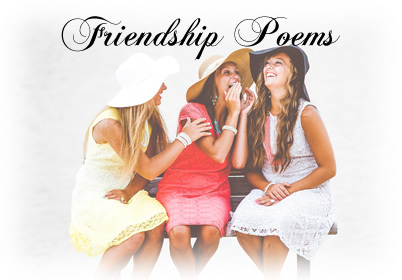 Friendship poems which includes best friends forever poems, inspirational friendship poems, short friendship poems and other friendship type poems. Select this category to view friendship poems. 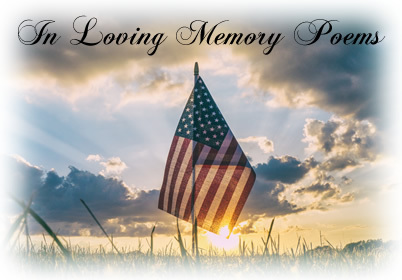 In loving memory poems and verses are death remembrance verses which can be used for deceased family or friend poems, a poem for a deceased grandmother or grandfather or as free bereavement poems or prayers. Pick this category for in loving memory and sympathy verses. We have 28 different poems for a mom. 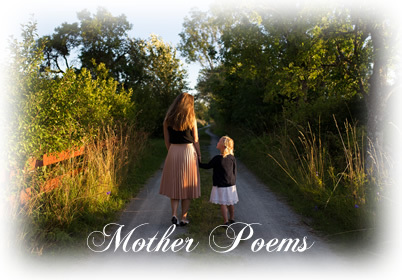 The mother poems can be used as a poem from daughter to mom or a son to mom (most poems will work for either), poems for Mother's Day for kids or adults, or for no special occasion at all to simply tell Mom how much she means to you. We also have a mother of the bride and a mother of the groom poem. Select this category to see a list of mother poems. Included here is over 20 poems in our list of poems for dads. Find poems for Father's Day or maybe a special daughter to father poem. 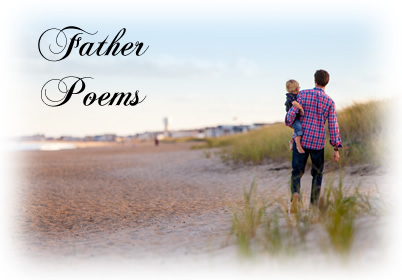 To view poems about dad, proceed to our father poems category. This category is in addition to the mother and father categories. 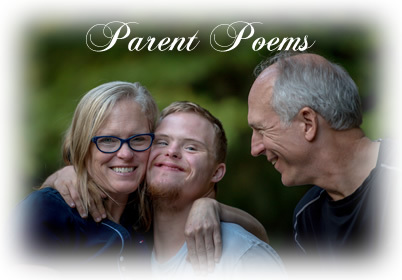 Here we have only poems for parents. For a great gift for both parents simply print a free parent poem from this category and get a frame to mount the print. Your gift is complete. Framed poems make great gift ideas for mom and dad. Here is where we have that special poem for grandma. 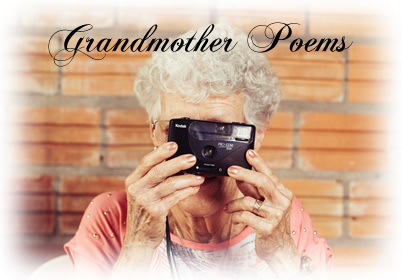 We have free poems for grandmas and free poems about grandmothers. Some are serious and some are fun and can be from children. For free poems about grandfather, select this category. Whether you want grandfather poems or a poem for my grandpa, we have several different ones from which to choose. Go to this category to get free grandpa poems. 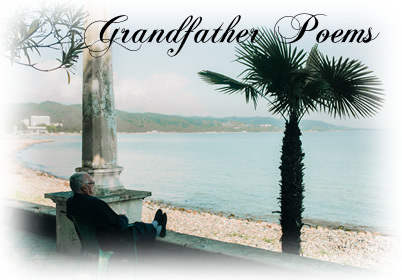 The poems here are only grandparent poems and are in addition to the poems listed in the grandmother and grandfather categories. 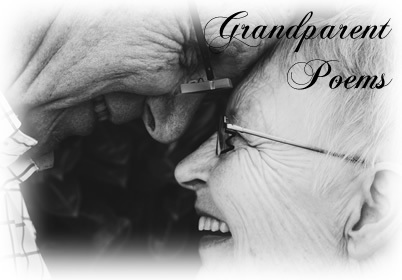 You will find simple poems for grandparents, children poems to grandparents, and other types of poetry for grandparents. Select this category to see our poems for grandparents. This category is for our free poems to daughters. 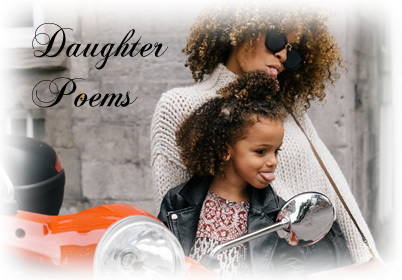 Here you'll find inspirational poems about daughters as well as a poem from mother to daughter. Select this one for free daughter poems. 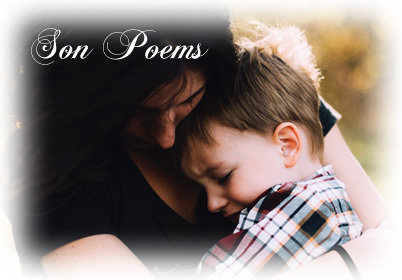 Here you will find poems from a mother to her son and poems from a father to his son. We also have poems from both parents. You may also find that proud poem to my son that you may be looking for. This category has our free son poems. A special poem for my sister. That's what you will find here as well as other sister poems like best friend sister poems or little sister poems. 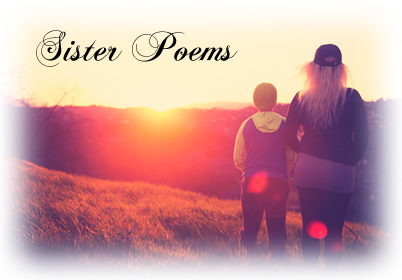 Visit this category to see all of our sister poems. 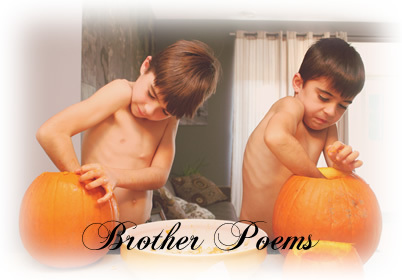 A poem for my big brother, a poem for my little brother and more brother poems can be found here in our brother poems category. 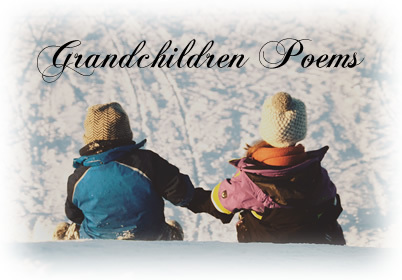 For poems about grandchildren and other free poems to grandchildren, select this category. We have several granddaughter and grandson poems from which to choose. 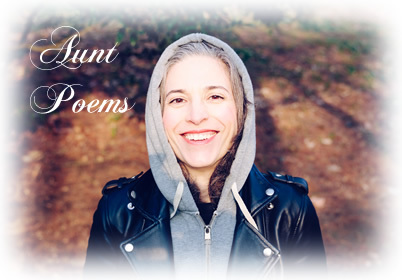 We have several free poems about aunts. Select this category and print your poem to a special aunt. 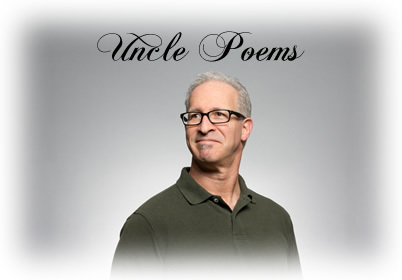 Uncle poems are hard to find, but we have a few to look at here. For that uncle who means a lot to you, pick this category and print a free uncle poem. 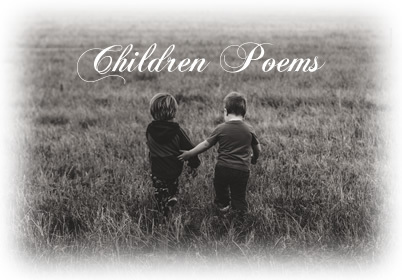 We have several different poems for children. Adoption poems, poems about twins and poems for nieces and nephews. Also we have a nice poem titled Children Learn What They Live. 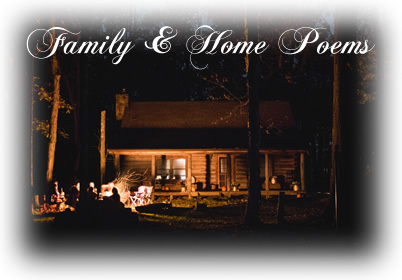 This category includes family poems, family quotes, funny family poems and other poems about family and home. 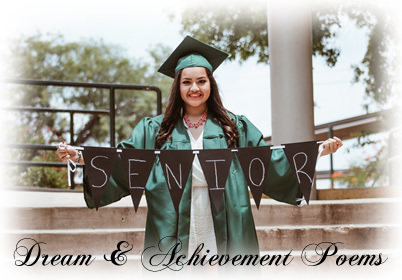 Here we have inspirational poems and other poems about achievements. Also, we have retirement poems which can be used for principal retirement poems, teacher retirement poems, or any other retirement occasion. 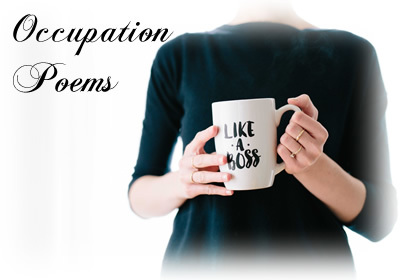 Our occupation poems include several types of free poems. We have boss appreciation poems which can be used for bosses day poems and a teacher poem or teacher appreciation poem. Also, we have a firemans prayer poem and a law enforcement angel poem. Our religious poems include encouraging bible verses like the 23rd Psalm. We also have spiritual poems like One Solitary Life. 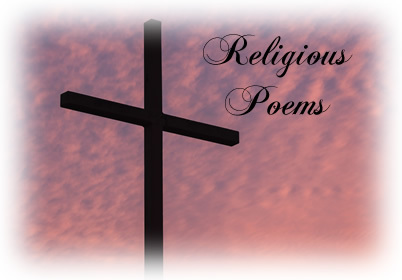 There are 8 different religious type poems in this category. To view a poem, first select a category in the list above. Then you will see the first few lines of each poem in that category. To view, download or print the entire poem, click or tap on the View Poem link. The poem will be shown twice, once with clear black text on a white background for you to read easily and then on a colorful border background. Each poem is randomly shown on one of our 37 border backgrounds. Any poem can be printed on any of these border backgounds. For more details on this, see Printing Tips below. Below each poem there are three PDF download links. Two of them contain the poem, one with the border background as shown in the poem sample, and the other is the poem on a blank background. The third PDF has just the border background that is shown in the sample without the poem. This allows you to mix and match the poems and border backgrounds. For more details please see Printing Tips below. All poems are available in PDF format for easy downloading and high quality printing. Printing or downloading a poem is easy. See How It Works above to find a poem to print. All poems are in PDF format. Click any PDF link to open the file. You can print the poem, or download the file to print later, using the download and print icons. To save a file instead of opening it, right click with your mouse, or on a touch device touch and hold for a menu, and select save. On each poem page there are three PDF download links. The first PDF contains the poem on the border background that is shown. The second PDF contains the poem only with no background and the third PDF download has just the border background only without the poem. Each poem on our site is shown with a different border background with PDFs containing that poem and background on that same page. If you want to print this poem on a different border background than what is shown, just download the PDF that has only the poem you like on the blank background. Then find the background that you like and download that PDF containing only the background with no poem. Then print the background with no poem first, then re-print that same sheet with the poem you like on the blank background. There are 37 different border backgrounds and 188 different poems. Using the above procedure, you can print any of the poems on any of the border backgrounds. For any questions or comments, please see Contact Us.